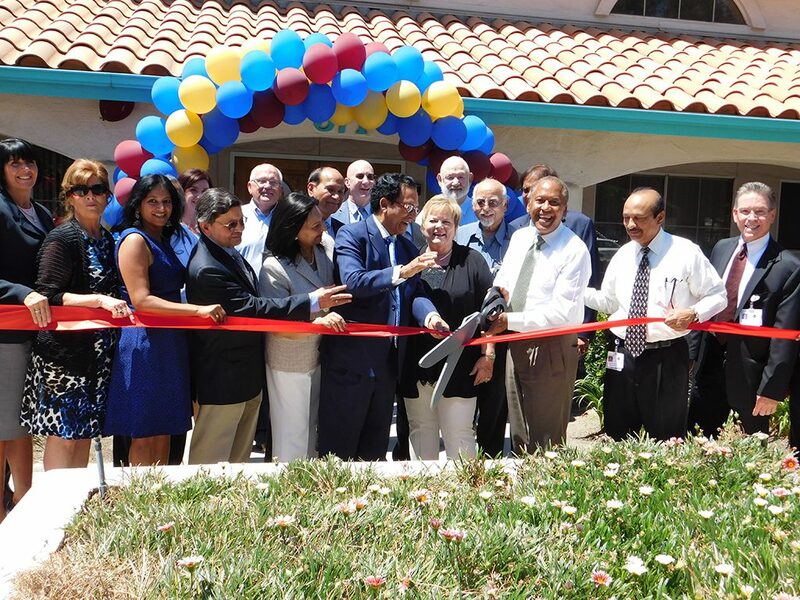 Hemet city officials, chamber of commerce members, prominent Hemet physicians and nurses attended the ribbon cutting for the newly reopened 90-bed Hemet Valley Healthcare Center Friday, Aug. 29, at 371 N. Weston Place. The newly remodeled and staffed skilled nursing facility now has 56 beds occupied by patients recovering from surgery by physicians at the adjacent Hemet Valley Hospital. Dr. Kali P. Chaudhuri, chairman and CEO of Physicians for Healthy Hospitals, Inc. which manages the Hemet hospital, told chamber members and guests to the facility say that it was a part of PHH’s vision to make Hemet Hospital its accompanying facilities and physicians, leaders in health, cardiac and orthopedic care in the Inland Empire. The orthopedic surgeon said the facility, unfortunately, was closed in 2009 but as things improved at the hospital the skilled nursing facility was remodeled and reopened to meet the increasing patient post-surgery needs.